Our Company Newsfeed feature leverages ZoomInfo’s constantly updating database of news articles gathered from hundreds of sources to bring you fresh information about the companies you target. 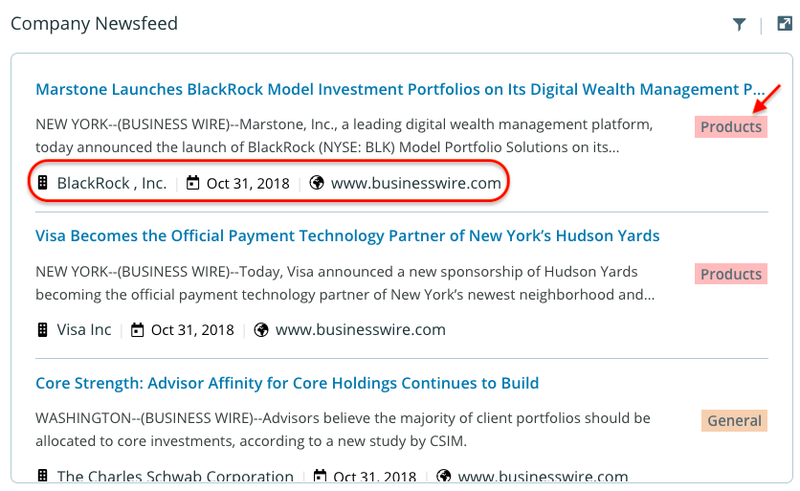 Simply subscribe in Company Search, or from the “In the News” section at bottom of any company profile, and we will deliver updated headlines to the ZoomInfo homepage and our new “Newsfeed” page. Articles are sorted in chronological order, with the most recent articles at the top. Under the news article, you'll see the name of the company the article mentions and the date and website the article was published. On the right, you'll see the category that the article falls under. To sort by category, click on the filter icon in the top right and select the category. To sort your newsfeed by a specific company, click on the company name. 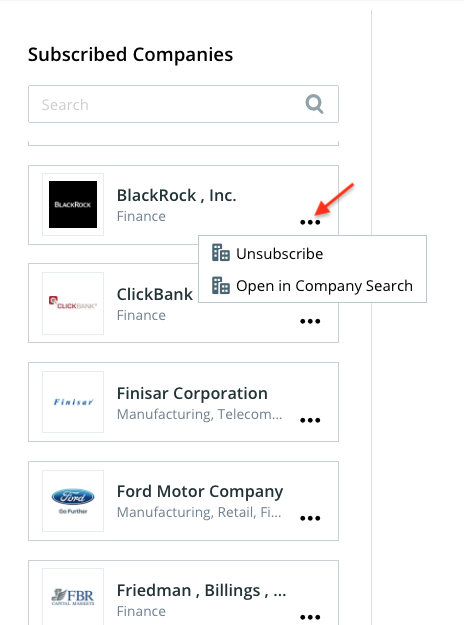 To unsubscribe or open the company in Company Search, click the more actions button.